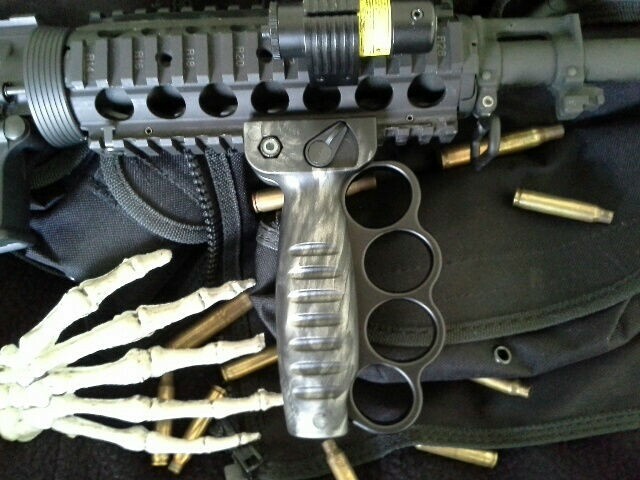 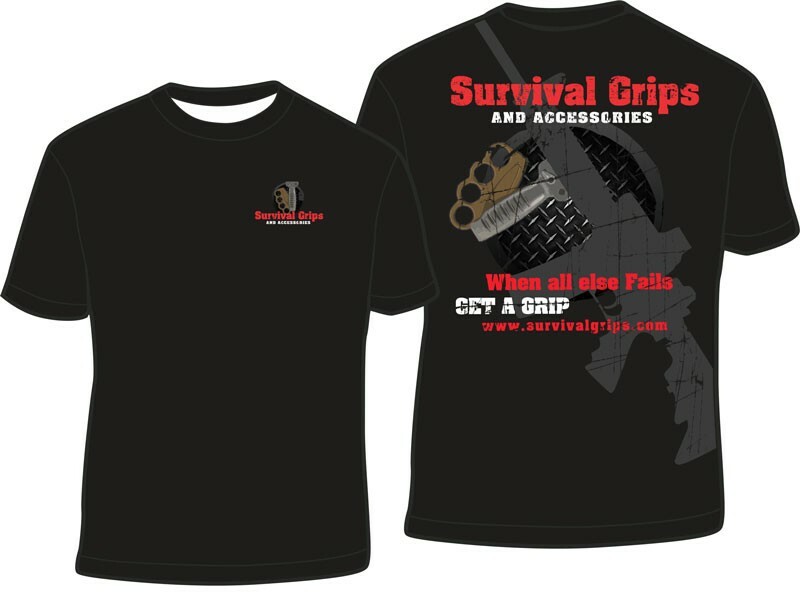 SURVIVAL GRIPS HAS RECENTLY BEEN SOLD TO DELTA TEAM TACTICAL!!! 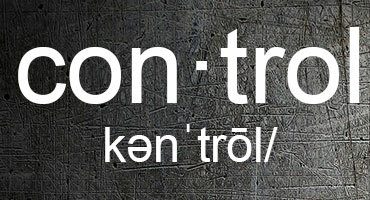 STAY TUNED FOR SOME NEW EXCITING ANNOUNCEMENTS!!! 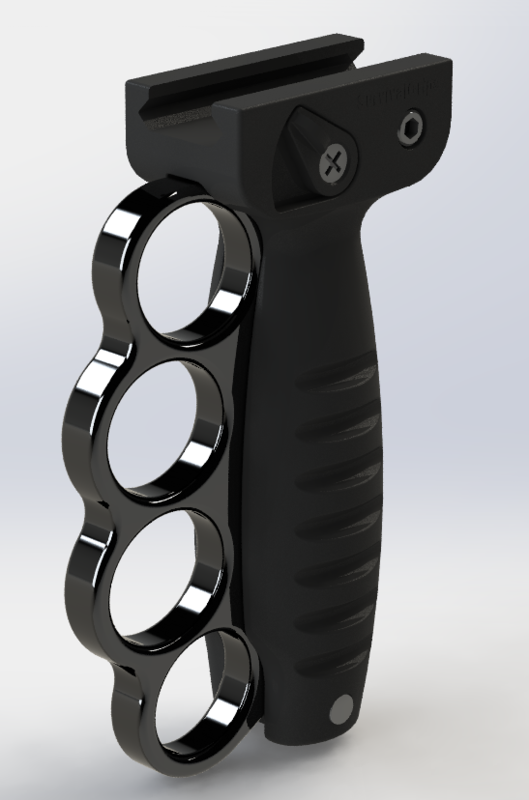 GENERATION 2 IS COMING SOON TO A DEALER NEAR YOU!!! 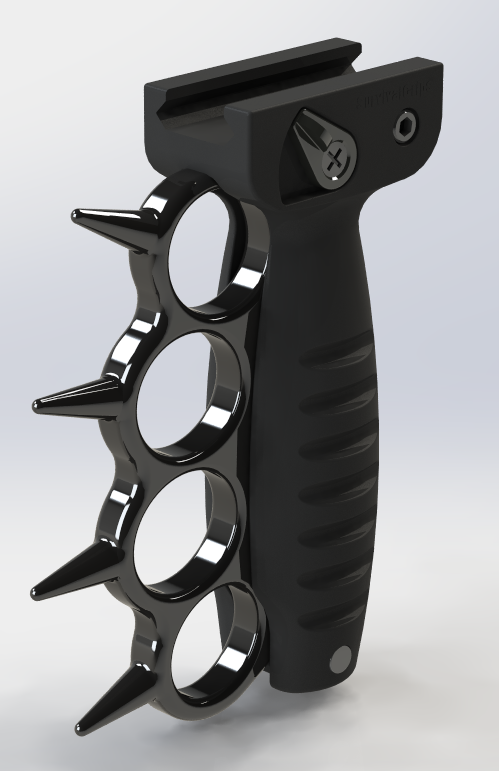 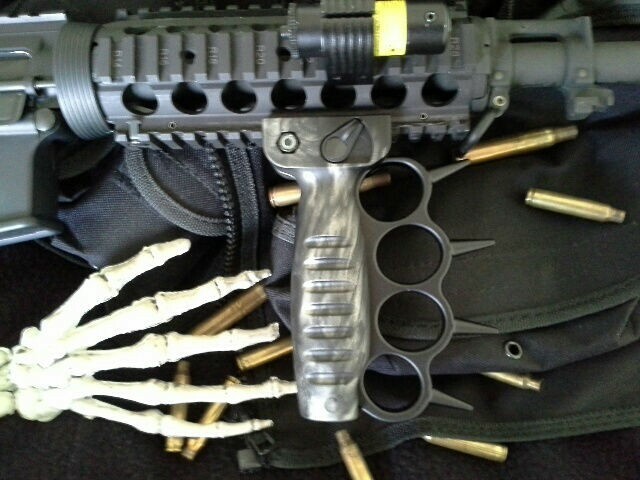 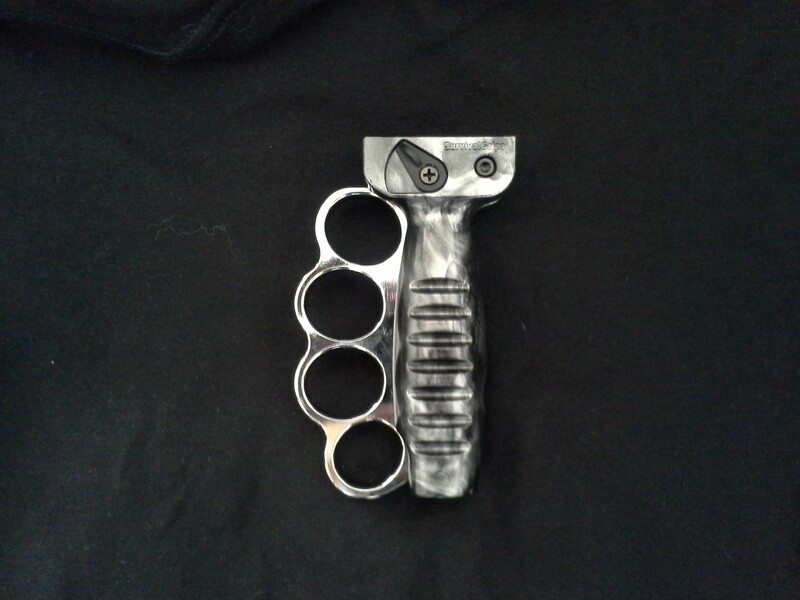 Enhance Your Hand to Hand Combat Skills Now and Order Yours Today! 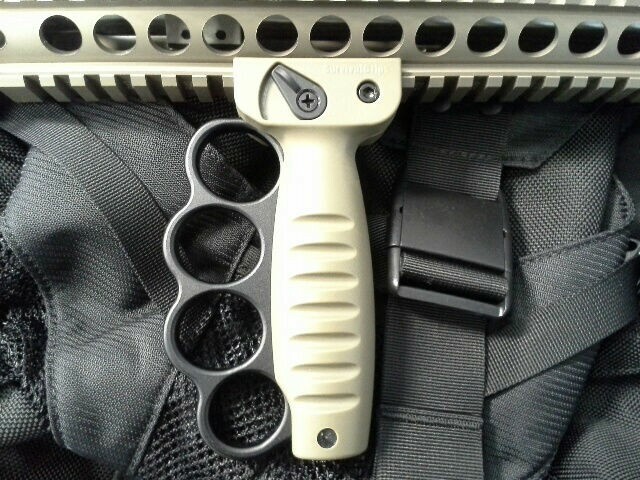 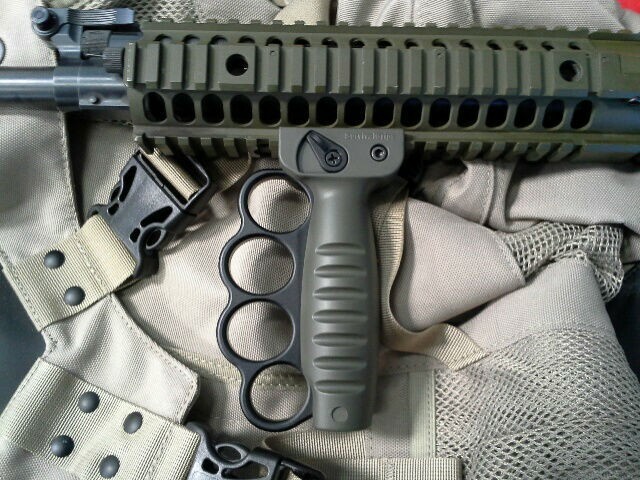 Survival Grips will attach to any firearm with a Mill-STD-1913 or Picatinny rail system. 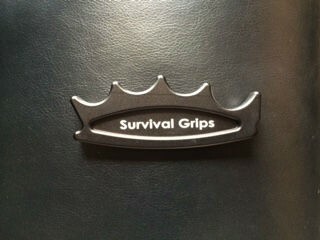 Check Out all Survival Grips has to Offer! 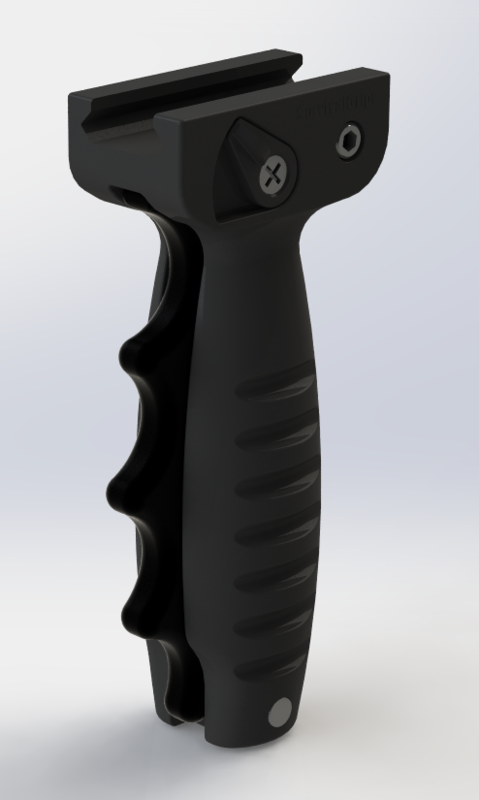 Survival Grips help to create a more secure bond between the hand, fingers and grip. 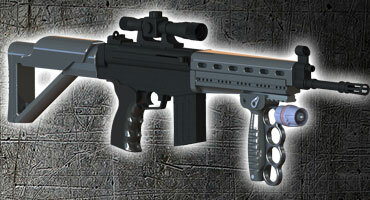 The firearm becomes like an extension of ones body helping to provide more natural control over the firearm. 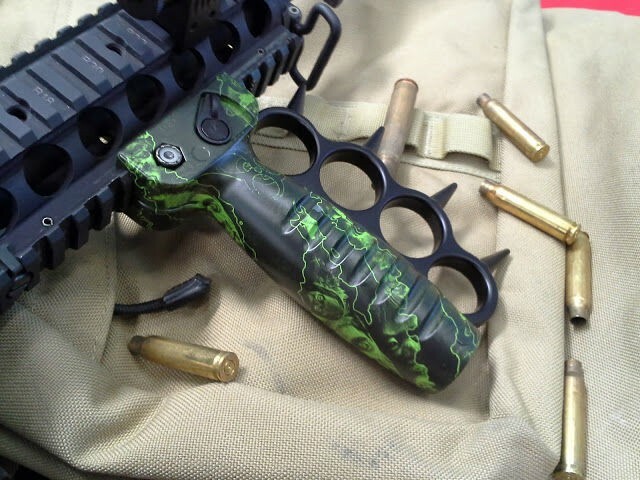 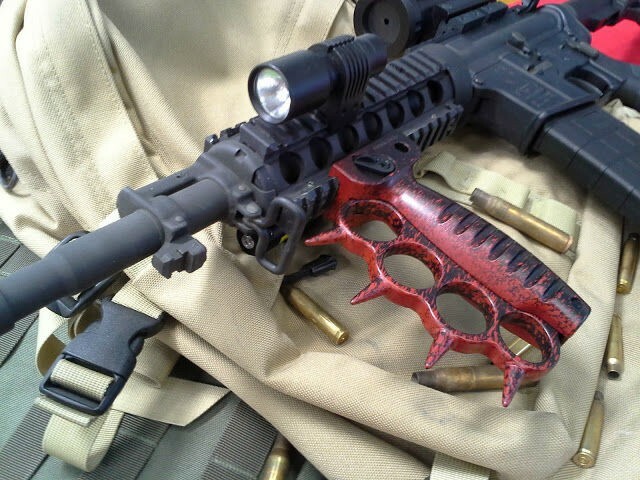 Survival Grips help to increase the safety of the firearm. 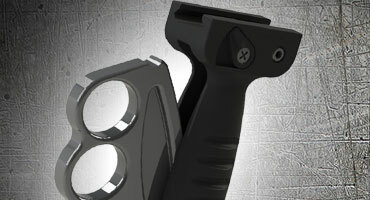 With the hand and fingers locked in the grip the firearm will remain more secure in a natural forward position. 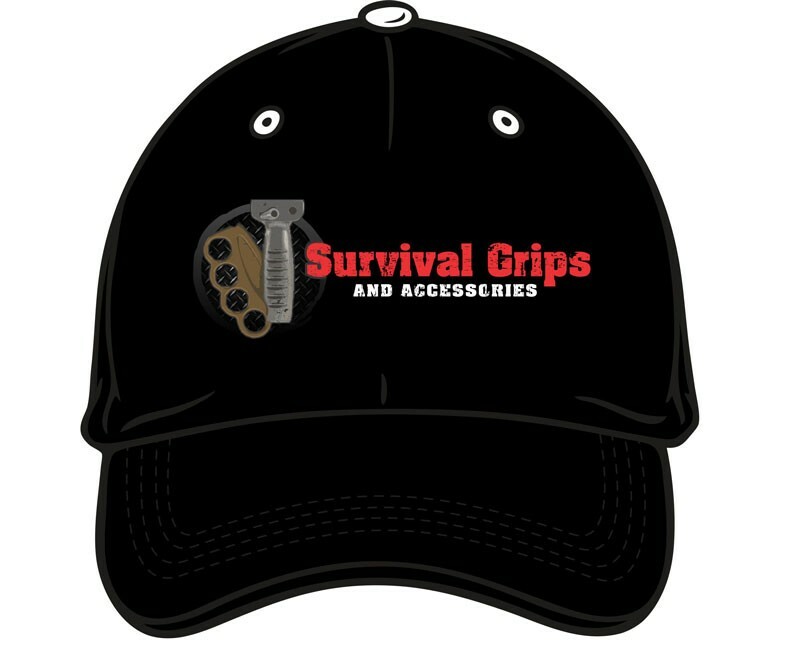 Survival Grips help provide more security over ones firearm. 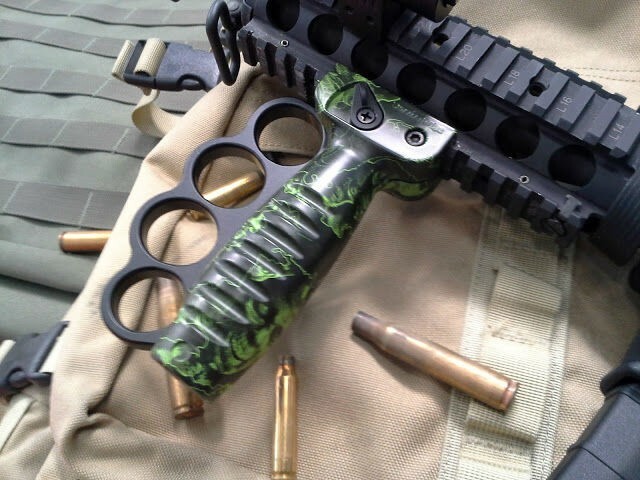 Unlike any other foregrip currently in the market Survival Grips make it almost impossible for one to lose control over their firearm in the event of a struggle or accident.